Over the years, being a Raleigh laptop repair center, we have had many laptops come in with all types of damage. We receive machines of all types in with milk, wine, and water spills. Water spills can occur from a tipped over glass of water, laptops being left outside in the rain, or even a roof leak. 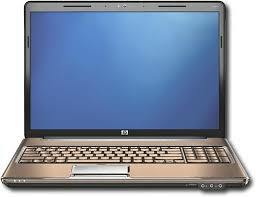 The most recent laptop we had in for repair was an HP DV7 laptop. This machine was used in a home office in an upstairs bedroom of someone’s home in Raleigh. Squirrels had built a nest in the homeowner’s gutter. Water was unable to properly drain, and water backed up in the gutter system, leaking into the fascia of the house. The liquid was not immediately apparent until the water crept into the ceiling and began dripping in to the laptop. It entered the machine’s keyboard and shorted out the unit. This laptop in particular ended up with a bad motherboard and keyboard. In this case, we retrieved the data and put the customer into a similar machine as we had some great used units on sale in our showroom. The customer had their fascia replaced, and a gutter protection system installed by this company which installs Gutter protection systems in Raleigh. The customer found them after researching how to keep squirrels out of gutters. Have a spill damaged laptop? If you are in the raleigh or Cary area and you have a laptop which has water damage, contact us today for a free estimate.